Jay Malsky is a New York based comedian, musician, and drag performer. They can be seen performing original comedy songs around Manhattan (& Brooklyn tho not on the weekends probably). Their running shows at UCB Theatre have included Jay Malsky Slept With My Boyfriend! & The Queerball Sketch Show and was a member of Pretty Boys on Maude. The studio recordings from Jay Malsky Slept With My Boyfriend! is available on iTunes, Spotify and all other streaming music services. 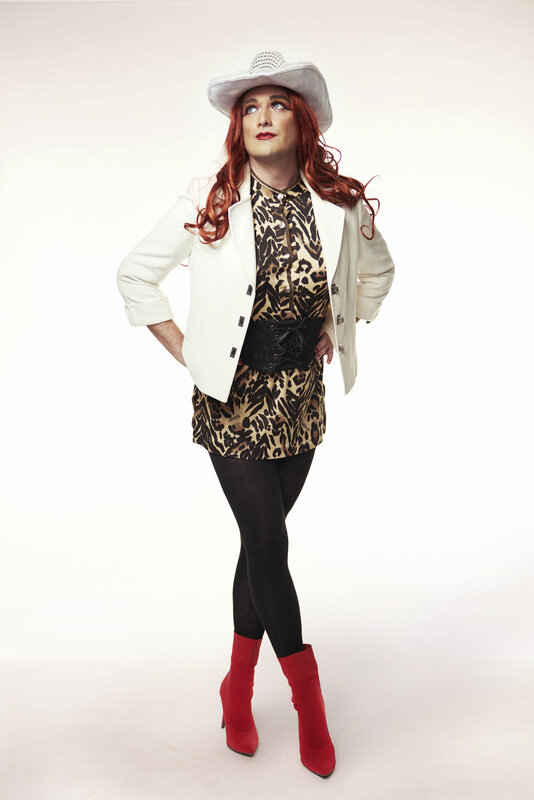 Jay’s drag characters includes Celine Dion, Cher, Caitlyn Jenner and Elaine Stritch (sold out at 2015 New York Fringe Festival). They were the producer of DED Talks (Caveat) an evening of TED Talks by dead people. Jay’s been called “The Saddest Man in America” by Tucker Carlson, and “The Voice of 2017” by Salon.com for protesting a puppet of Donald Trump at Disney World. They Whitney Houston every day and pray to Suri Cruise every night "just in case." You can follow Jays’s Hefe-filtered life on Instagram @jaymalsky or their Earnest Gay Thoughts on Twitter @JayMalsky. For Jay's resume, click here. For Jay's headshot, click here.